Here amid our 850 acre estate within a stunning Perthsire backdrop - ideal for your wedding photography - our attentive staff are always there to ensure that your day is as brilliantly organised as it is special. Whether it\'s the little details such as floral arrangements or the larger decisions over choice of room and wedding menus, we can take care of every aspect leaving you free to enjoy your day to the full. Even the smallest bridesmaids need time to ready themselves for the day to come. A beautiful private room is always available for those all-important final preparations. 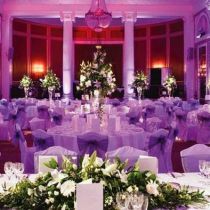 Behind the effortless flow of a Gleneagles wedding is a whole flurry of activity that ensures your big day is as perfect as you had always dreamed. From the early stages of planning to the event itself, you\'ll find our staff able to offer invaluable advice on the smooth running of the whole occasion. We can organise your marriage within the hotel, in a suite or private room, or nearby in a cathedral or a small local village church. We take care of catering, flowers, transport (from chauffeur transfers to wedding cars), photography, entertainment and, of course, we offer the bride and groom a beautiful bedroom for changing. At Gleneagles, we take care of every little detail but, most of all, we take care of you. Your table arrangements can be designed to fit the mood of your wedding. 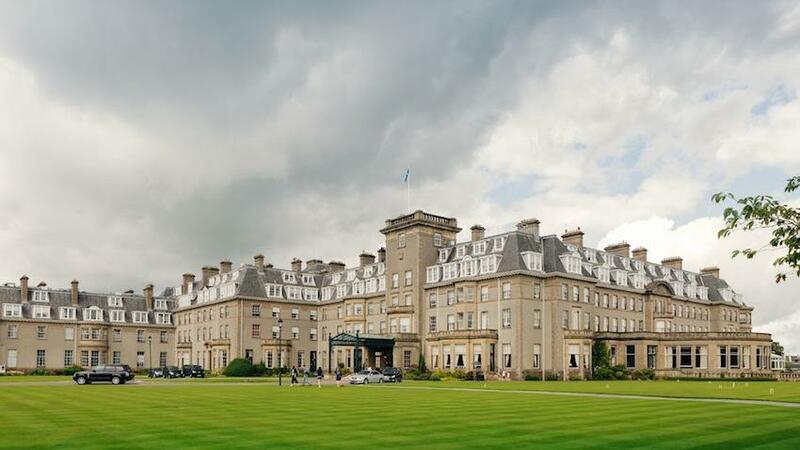 After the last dance and final toast, the day may be over but the Gleneagles honeymoon is just beginning. This is a hotel for romantics, but it is also a resort where a whole range of leisure activities may be enjoyed in heavenly surroundings. Why not pamper yourself with a treatment in our spa or a swim in one of our pools. 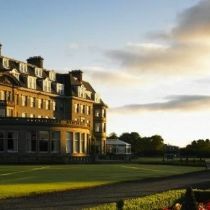 The more energetic guest can enjoy the sporting facilities that have made Gleneagles famous: golf on one of our three championship courses, riding, shooting, falconry and fishing. 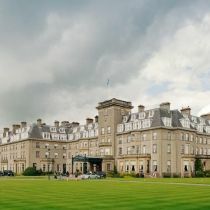 Whatever your wedding dreams are made of, you\'ll find Gleneagles is the perfect place to fulfill them all.